With mothers day fast approaching we have busy weekend creating innovative beauty experiences for a few of our retail and brand clients helping to say a big warm thank you to their valued customers. They want recognition, they want to feel valued by your brand. One of the easiest ways to achieve this impact is to create an experience to draw over the customers to your activation, entice them in and then make them feel all warm and fuzzy inside. Beauty experiences are an amazing way to do this. As a brand you get the chance to personally connect with each individual who takes part in the activity building rapport and gratitude for the pampering. As a captive audience, your guests can learn about new products or the aims of your campaign in comfort. You can even dig deeper and use this connection time to ask their opinions, probe them about their likes and dislikes, find out what makes them tick. Its important that you use the right surroundings to create this vibe. For indoor events and activities, we can create a whole impactive glamourous salon experience or a relaxing spa vibe. We are experts in pulling together bespoke looks for different themes or to work with your brand. 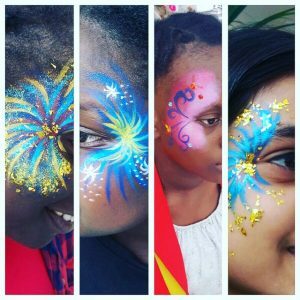 For large indoor events and outdoor shopping centres you need something with the WOW factor that will stand out, capture attention and draw the crowds. A double decker bus or a stunning airstream salon will do the trick and are super popular with our clients. Branded buses are great for height for long distances and to send a message far and wide. They also have the room for bigger teams and more space customers to engage. 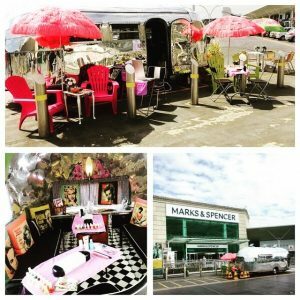 But the airstreams are the most popular – iconic, eye-catching and kitsch they are a show stopper in terms of the crowds – especially our 1950’s themed unit – shes a beauty and always the centre of attention at events. What kind of treatments should you use? The key with these activations is high turnover but high impact. So we normally opt for express treatments tailored to suit the activations aims and the end customer. So for example for a Lynx activation in Gatwick we created a male barbering station with express moustache and beard trims, dry shaves and male haircuts. 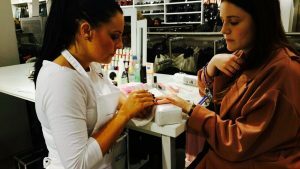 This weekend we are doing a few mothers day activities so we are focusing on express hairstyling, makeovers, manicures, brows and massages. 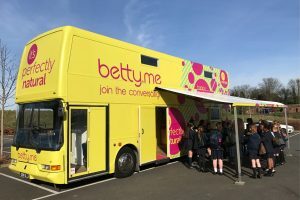 For other events such as the Betty.Me campaign which were in a girls guide festival we conducted high speed glittering on hundreds of young girls as thats what suited the surroundings, enabled us to treat hundreds of girls and they loved it.